Amazing things happened at last month’s Seattle Interactive Conference (SIC). Over 4,000 attendees filled all four floors of The Conference Center and we were excited to be part of the energetic two-day exchange. We dove into SIC 2016 knowing this was the time to make a big splash. We also came away with some great perspectives on why our business shines. Our client list is filled with global brands. Our application solutions drive huge enterprise systems. Sometimes, though, the smaller scale of a conference booth is the best proof of concept for what we have to offer. More than the applications we develop, projekt202 is about the methodology we employ. We deliver insights at every step in a project. We put that idea to the test at SIC by assembling some of Seattle’s best and brightest minds in tech and design for two panel discussions. “Open for Business” tackled Big Questions about diversity and inclusion in team processes. Even our internal design teams need diverse perspectives to design solutions that are successful for an endless variety of end users. 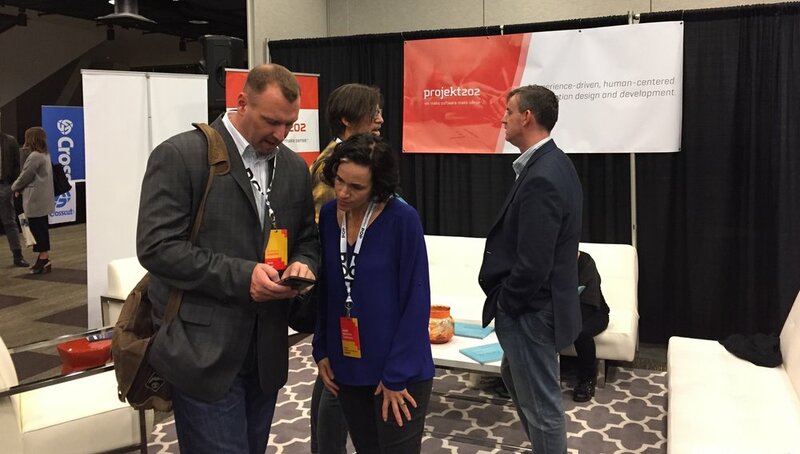 “What’s the Big Idea?” speculated where design, development and UX were headed next. It is imperative for us to stay on top of emerging platforms and the rapid growth of sensors and transmitters that are shaping customer experiences everywhere. We have talked about this before. Echoing Hopkins’ statement above, putting people first is embedded in our methodology. We extended that approach to how we setup our physical space at SIC. Our lounge design was totally open. Collateral is great for educating potential clients, but in this case we intentionally went minimalist. It invited interactions which led to spontaneous connections with representatives from many big names in the Seattle tech market. Even though we love what we do, it’s amazing to watch the transformation happen. Some conversations even led to impromptu biz dev meetings with potential clients. In the city with more cloudy days (including both days of the conference) than any other in the United States, our most popular swag was projekt202's sunglasses. It turns out Seattle has the highest per capita spending on sunglasses in the United States. And, boy, did people seek them out at our lounge. How’s that for user research? Overall, Seattle Interactive exceeded our expectations, even in this crazy-busy tech scene. We are already looking forward to SIC 2017. In the meantime, if your company wants to learn more about our approach to user-focused application development – or to pick up a set of our sweet sunglasses – reach out to us directly at seattle@projekt202.com. 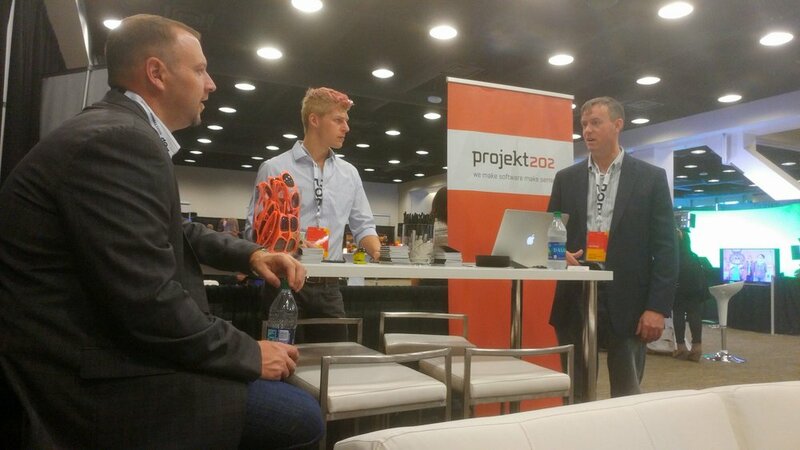 Keep up with projekt202 news and events by following us on LinkedIn.